Won't you make a difference, too? Christiana (right) and her daughter. On Sunday, Lindsay and I are heading off to Ghana! The idea has been simmering in the back of my mind since a Ghanian friend shared her dream almost 10 years ago. She grew up in a rural village in Ghana and wanted to start a school for the children who had no where to go during the day while their parents worked. Sometimes she heard cries from inside homes where children were often caring for children. 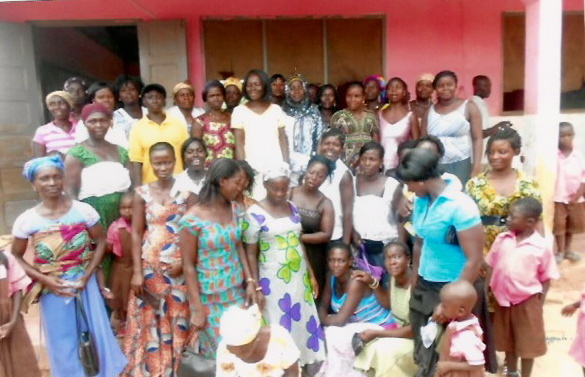 In 2008, with the help of people like you, Christiana opened her school. It now provides 300 children with two meals a day, a safe place to stay and an education! For many of the children, their only meal of the day is what is provided to them at school. Tennis shoes are a treasure and many don't have more than a few articles of clothing. School supplies are limited, but she is always trying to improve the school and provide for the children who have so little. Her school is well regarded in the village and she was quite proud of the accolades some parents gave at a recent PTA meeting. 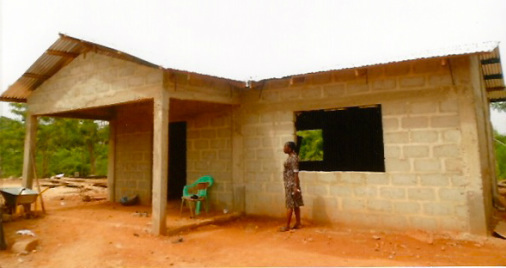 The school is now going to have a library, which is the first in the village! Also, a cantina is being constructed so that the children will not have to sit out under the hot sun on the dirt during lunch. So many times we give money, but don't really see where it goes. What a treasure to know just how your money is going to be used! This school is Christiana's life and her family puts all their time and financial resources back into the school. Some people have dreams bigger than our own and we are thankful to be a small part of them. Christiana writes, "Providing formal education in a rural setting in Ghana is very challenging, yet its benefit to the children and society makes it worthwhile. I believe with commitment and the network of love, caring, sharing, and generosity, we can meet the challenge." Be a dream by helping a dream! If you would like to purchase a t-shirt, click above to select size and "Add to Cart". Come back to to this page to add more sizes. The t-shirt material is called "soft style" - nice and soft! Click on the "Donate" button for donations or contact Lela if you need it to be tax deductible. Include shirt sizes and delivery address! 11-year-old Lindsay wants to make difference while staying in our friend's village, Twifo-Heman, and hopes you might like to help, too! 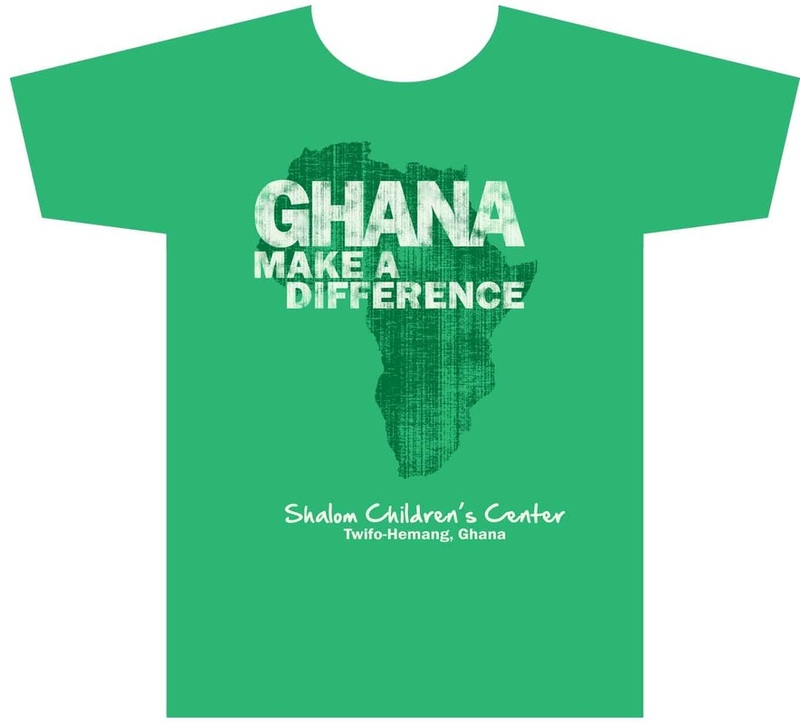 Please purchase an "I'm Ghana Make A Difference" shirt and show your support for children in Ghana. 100% of the profit will be used for supplies for the students at Shalom Children's Center during her trip! We know the 300 children have NO outdoor toys to play with during free time, a new library needs to be filled with books, and school supplies are in short supply. The needs are great, but the children appreciate every gift like only a child with so little can. 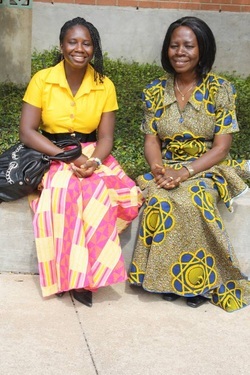 Read about one Shalom supporter's experience in the village. The needs of the world can be overwhelming, but beginning with one child, in one school, in one village in Africa, the world turns toward the peace Christ brought to the world. The new library - a first for the village!